Commonly known as the "Prairie Lawyers" Robert and Quinn Michael Broverman sponsor a half-hour program on local radio, answering questions of the public and discussing a different area of the law. The lawyers specialize in Estates and Chapter 7 Bankruptcy. They engage in the General Practice of Law. The lawyers would be happy to meet with you for representation. Please call (217)824-2271 for an appointment. We are a third generation law firm. Harold Broverman began the practice in Christian County after he graduated from the University of Missouri School of Law. 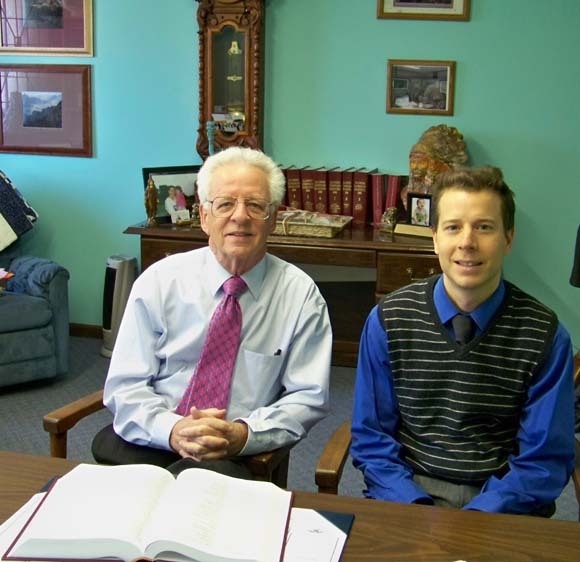 Robert Broverman, his son, then continued the family practice after he graduated from the University of Illinois School of Law. Quinn Broverman and his father, Robert Broverman, have been practicing together for twelve years. We are here to help you with your legal needs.